Indian nationals, foreign nationals including those of Indian origin, transferring their residence to India or coming to India on employment, can import their personal effects and household goods into India under Transfer of Residence rules subject to the following conditions. Owner of the goods must have lived / stayed abroad for a minimum period of 2 years and must be transferring his / her residence to India. Indian nationals must not have visited India for more than six months in the preceding two years. Foreign nationals must have a resident / business / work / entry visa. 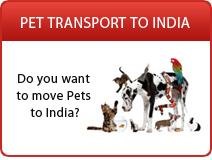 Goods must be shipped out within 30 days of arrival of the owner into India. If there is a delay then goods can be cleared only if the delay is condoned by the customs authorities. Every case is decided on its merits. Owner or his or her family members should not have availed Transfer of Residence Concessions in the preceding 3 years. Personal effects and house-hold goods: furniture, small appliances like mixer, juicer, iron etc. are allowed to be imported duty free if these goods are old and are used by the shipper. Concessional customs duty rate of 15% of the value is allowed only on the first unit. If the owner has two or more similar units, or the combined value of the appliances & personal & household effects exceeds Rs. 5,00,000/= (USD 10,000) customs duty @ 40 % will be charged on the additional units or the additional value. All other new items are charged at 40% duty. Indian nationals coming to India on a short visit, can import any personal effects or household goods to India on payment of customs duty @ 40% of the value. Suggestion: To ensure smooth clearance at customs, it is advisable to load all major electronic appliances in one liftvan or in the beginning of the container and their make, model no, serial number and quantity be provided to us along with the inventory. Import of Alcohol, Spirits etc. : Import duties on alcohol, wines, spirits, etc. are very high in India (approx. 244 %). It is not advisable to import liquor into India as most international brands of Liquor are available in India at reasonable prices. If you must ship Wine or Liquor, please pack them separately and clearly mark them so it is easily identifiable, else it could lead to unnecessary problems with customs if found during physical examination. 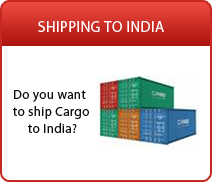 Disclaimer:Although Ship2India.com has tried to make the above information as accurate as possible, Ship2India.com accepts no responsibility for any loss or inconvenience sustained by any person resulting from information given above. 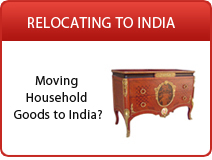 Ship2India.com encourages you to verify any critical information with the relevant authorities before you book the consignment.